Hiring provides a flexible way to manage short term chamber test requirements. If a short term requirement becomes a long term requirement, there’s the option to purchase the chamber you’ve been using. 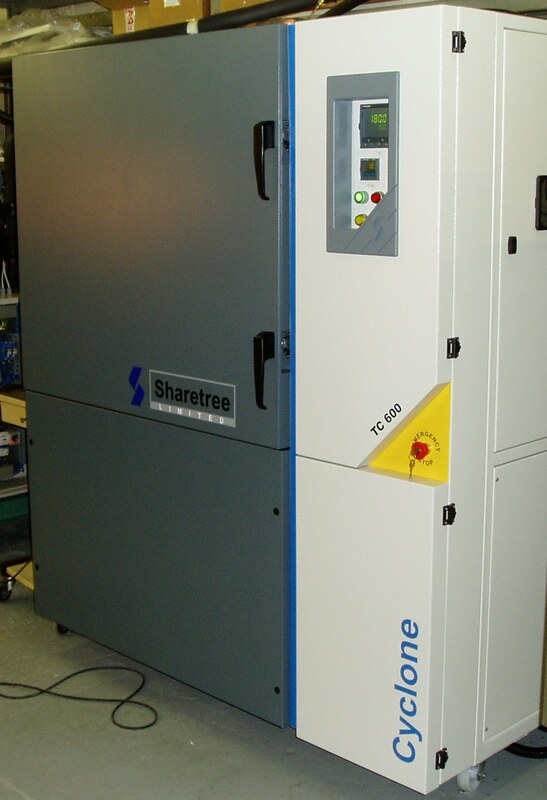 Prices are given per month for rental at your site and per day or per week for rental at Sharetree. For notes on prices, please see below. The Slimline range has excellent performance in a small footprint. This chamber is capable of -70'C. The Slimline range has excellent performance in a small footprint and is fitted with our SIMPLEtouch programmer for ease of use. 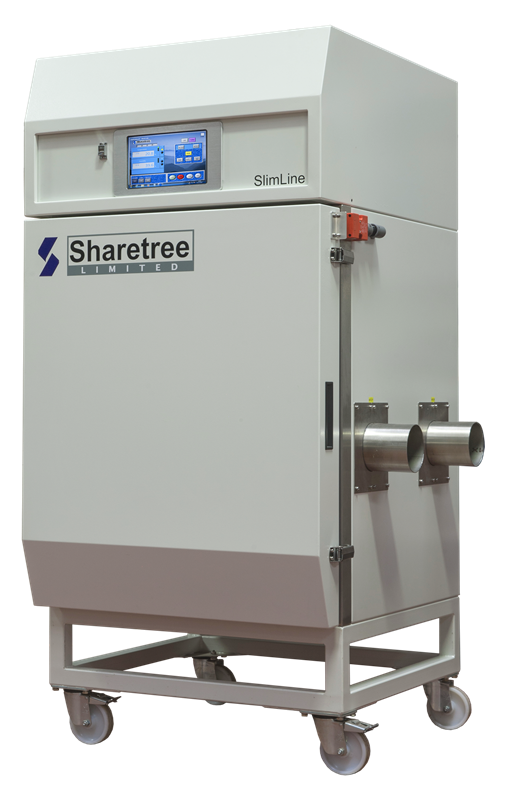 The Slimline range has excellent performance in a small footprint and is fitted with our SIMPLEtouch programmer for ease of use. The chamber is fitted with a special Door Port ideal for cabled assemblies. This benchtop chamber has 6 cable ports in one side and 1 cable port in the other. 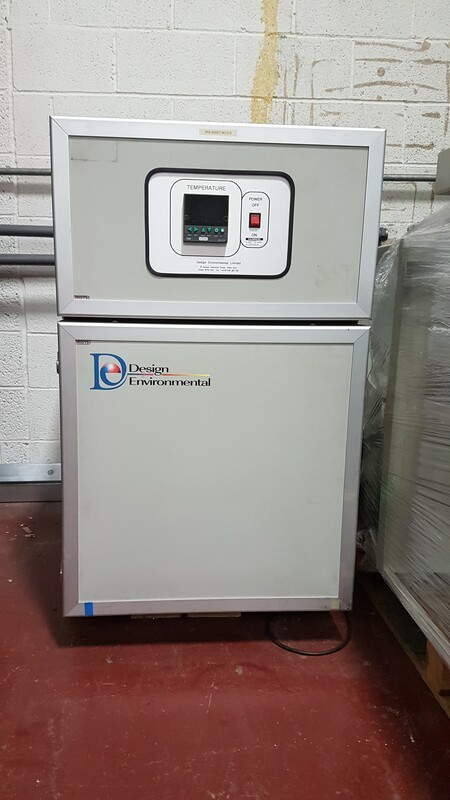 This chamber has both temperature and humidity control. It is very easy to use as it has been upgraded to our latest SIMPLEtouch programmer. 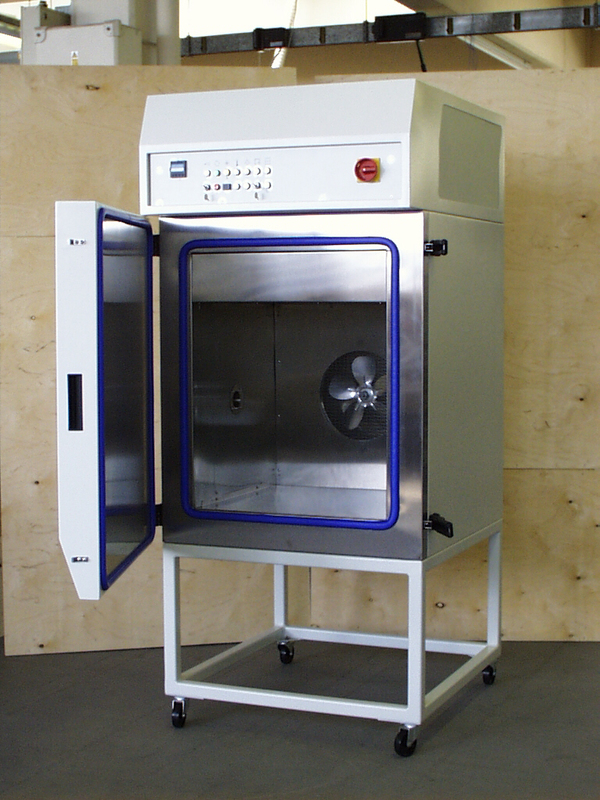 This is a large chamber with optional support frame for heavier loads (600Kg). 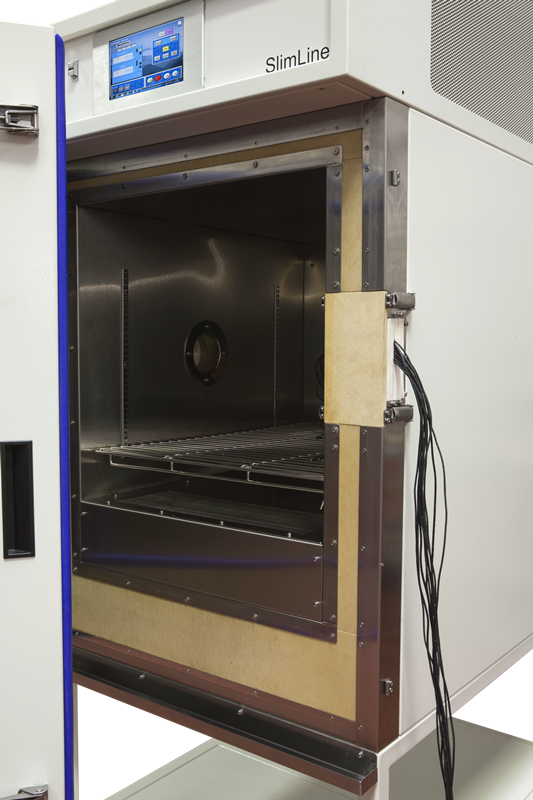 This large chamber has both temperature and humidity control and additional LN2 inlet for 10'C/min ramp rates (heating and cooling). 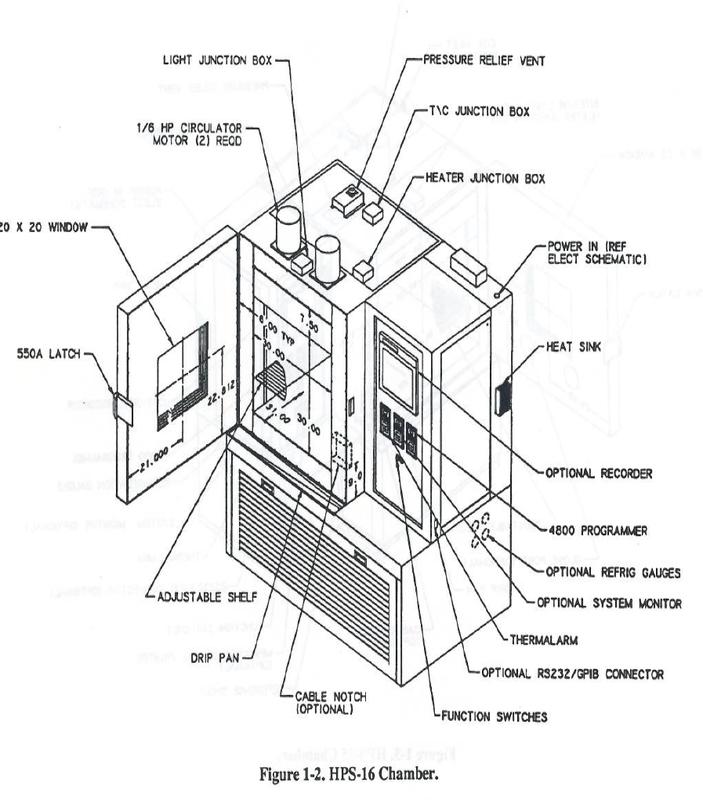 The chamber is fitted with a Watlow controller. 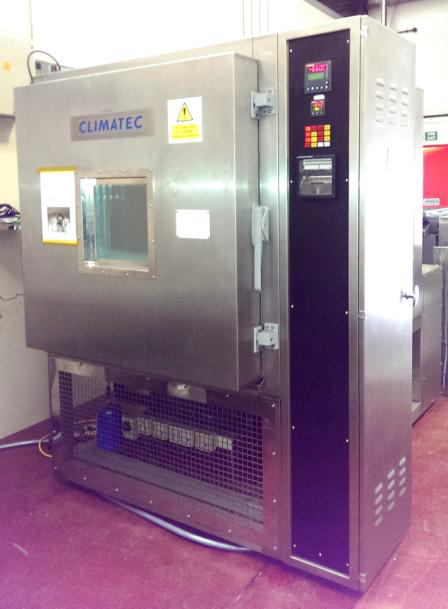 This chamber uses LN2 cooling to provide high performance in a small footprint. LN2 is not provided at customer site. 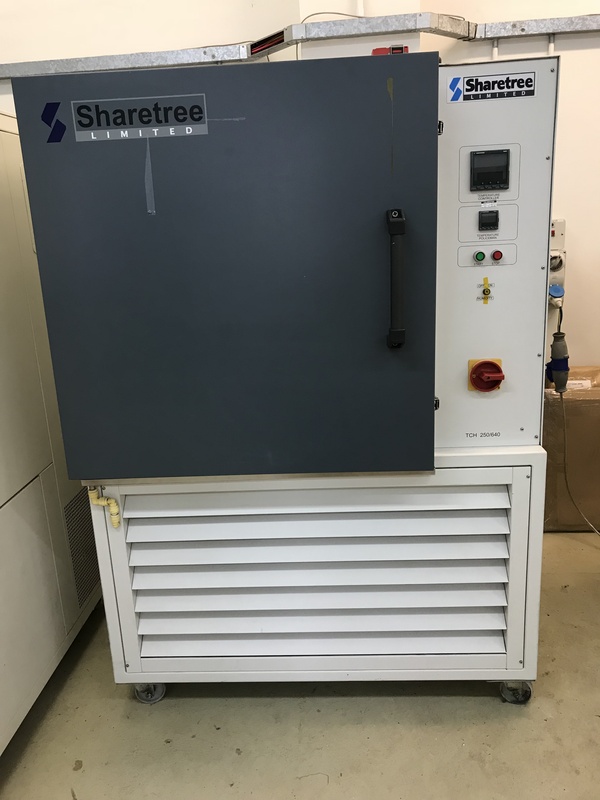 Two chamber Thermal Shock with vertical lift between chambers. 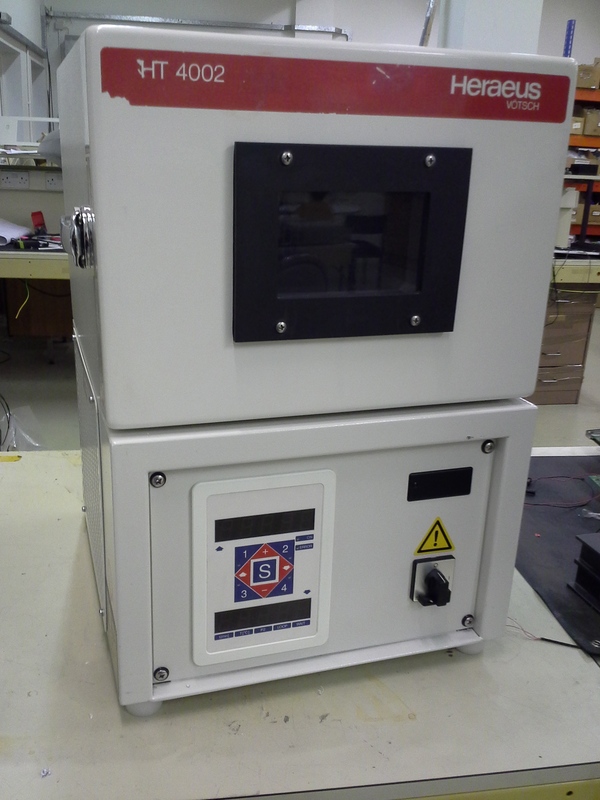 This ACU uses LN2 cooling to provide high performance in a small footprint. It is ideal for thermal control of insulated enclosures and comes with 2m insulated hoses LN2 is not provided at customer site. 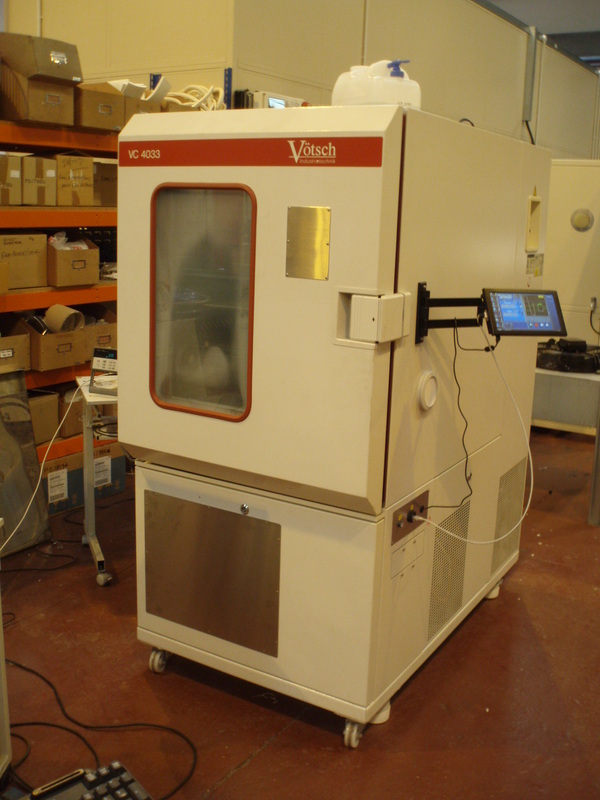 Having a chamber at your site offers the most flexibility for testing and is often the most cost effective. Rental periods of 3 or more months provide large discounts. Call for details. Transport methods are carefully selected to ensure that your equipment arrives in good condition. Offloading and moving to the installation site can be included if required. In the unlikely event that a chamber breaks down during a rental period, we will send a Service Engineer to repair the fault free of charge. We even extend the rental period to cover for any lost time. 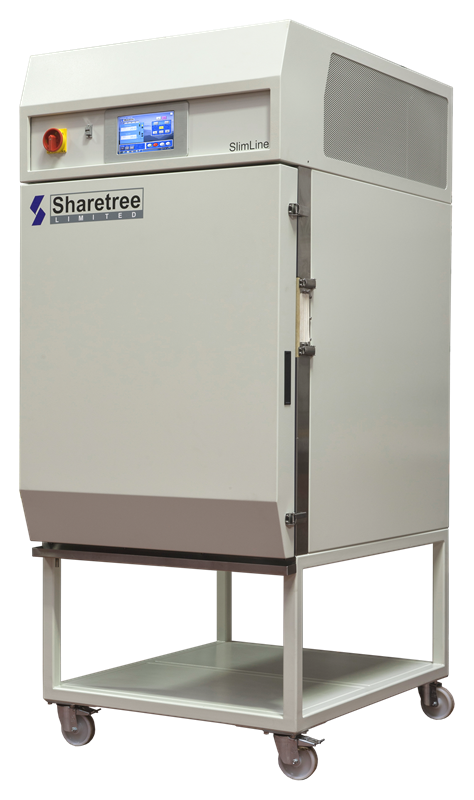 For short term rental from 1 day up, or where space or power at your site are a limitation, then rental at Sharetree could be the answer. 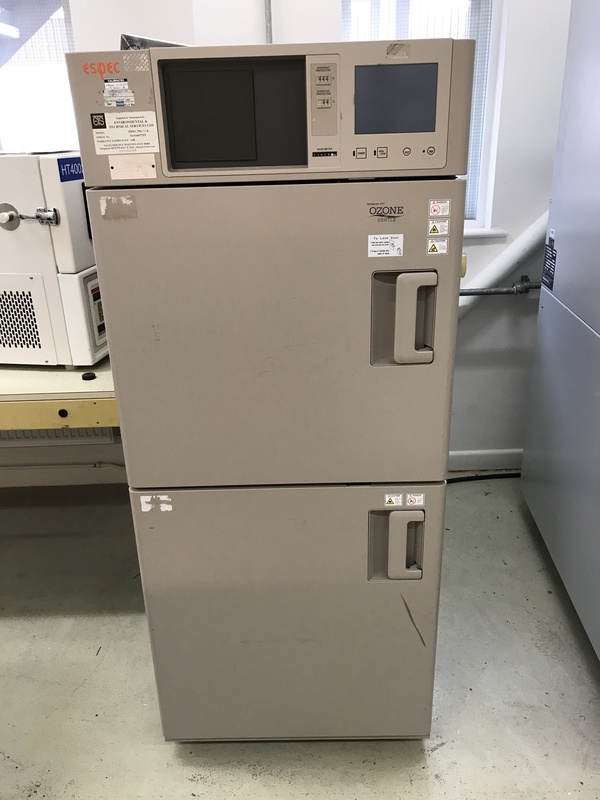 Chambers are set up prior to your arrival and profiles written, ready for you to start testing. Our experienced engineers can often resolve problems efficiently over the telephone, reducing down-time and the cost of unscheduled call-outs. All rental chambers are calibrated to National Standards prior to the start of a rental period. 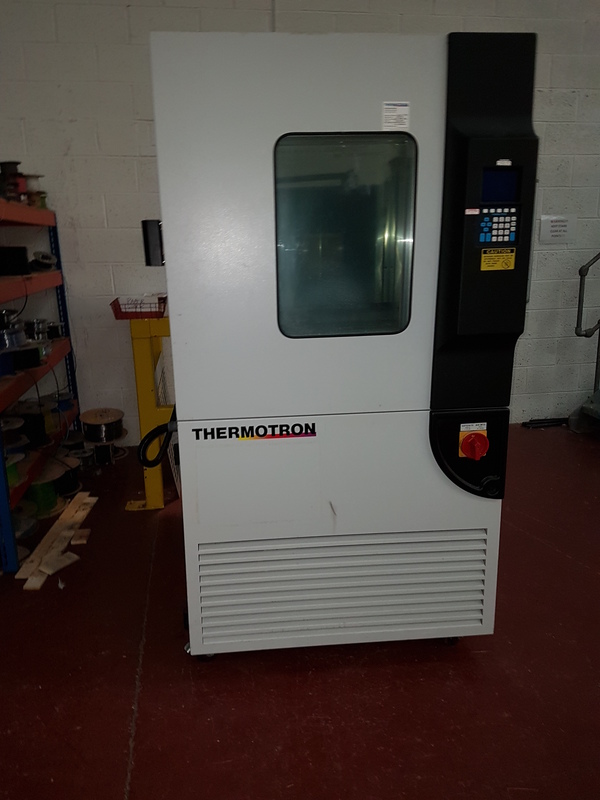 If the rental extends beyond 12 months, we will calibrate the chamber Free of Charge.